For those who have found it hard to manage business reviews while on the move would cherish the capabilities of iPad 2. They can install custom sales performance apps on their iPad for tracking leads and opportunities. They can instantly review the sales pipeline performance with their sales executives through analytical report driven interface and suggest apt business decisions. One can download critical decision making applications on to their iPad 2 and track the key performance areas of their business in a seamless manner. These are essentially must try for business managers who are hard pressed against the timelines and need to take imperative business centric decisions on the go. The secured application can be used by the professionals while they are on the move or in comforts of their homes. The accessibility promise of anytime and anywhere makes the gadget most sought out for amongst the gadget lovers too. The sales managers can speak with their executive team using Face Time app on their iPad 2 or dial-in for free using their Skype account too. The dual camera mode on the new iPad has made the life of reviewers a lot easier. They can even get to speak with their customers and provide them a personal touch by videoconferencing with them without any constraints at all. It is imperative to note that the stakeholders who have adopted iPad 2 at a much earlier stage tend to have an edge over their competitors in the same line of industry. The gadget’s smarter interface makes life a lot easier and simpler for the end users. The key parameters can be easily highlighted in the performance reviews managed by the iPad 2 app on the go. The end users would cherish the fact that they can share the reports, send meeting invites and collaborate with their new iPad 2 at the same time. These are truly redefining features that can take the usability experience to an all new level in shortest span of time. 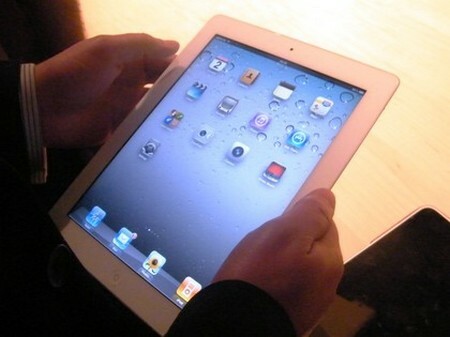 The new iPad 2 can bridge the gap between customers and service providers through custom apps and services. The end users should look to leverage from the apps that best meet their business requirements at all times. There are over 1, 50,000 apps that can be accessed by an end user. However, the utility of the application should be kept in mind by the end user before trying to use it in a seamless manner. Get going and look to explore these avenues endlessly on the web channel. You can drive business performance in the best interest of your business and close the leakages that exist in the business model. Some of the service providers often provide free custom support to the customers who purchase the app in case the next release is launched by the service provider on the go.